According to Renad Sheraif, the UK’s sauce and paste food category is in need of a big reboot. 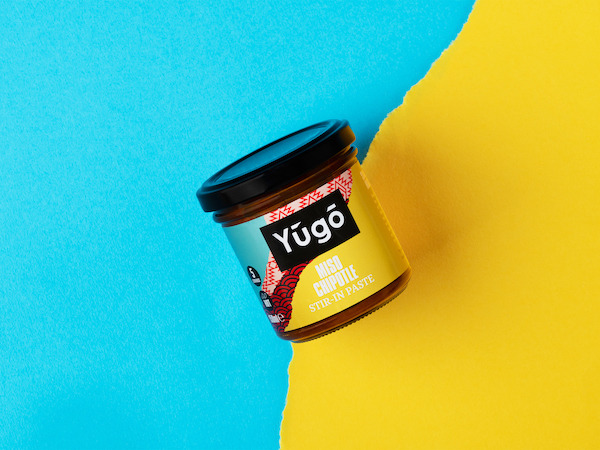 And she knows just the products to do it – Yugo Sauces‘ new worldly stir-in pastes and hot chipotle sauce. My story varies quite dramatically from a number of your other interviews where the founder has already carved out an impressive ‘background career’ before embarking on bringing their dream project to life. 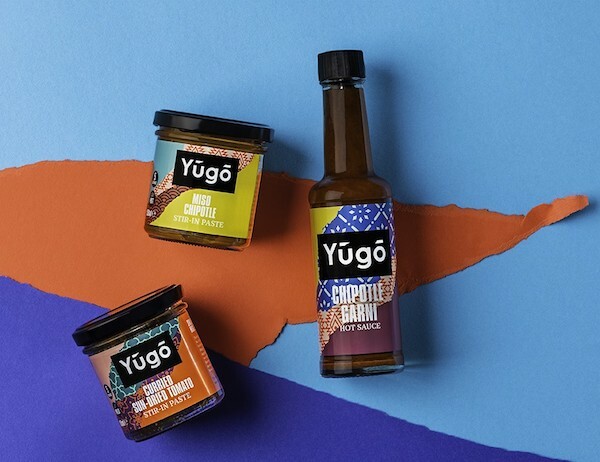 I am very much at the start of my journey with the Yugo Spices idea evolving whilst I was working on my master’s degree in Entrepreneurship, which meant I had loads of curious ‘student peer’ minds to pick and accomplished tutors to quiz and cross-examine. This may sound naïve to say but I honestly believe that a great idea is a great ideaand whilst a back-catalogue of industry know-how is always going to be beneficial when starting out, there is also a huge benefit to be derived from an inquisitive student unencumbered by any negative baggage. 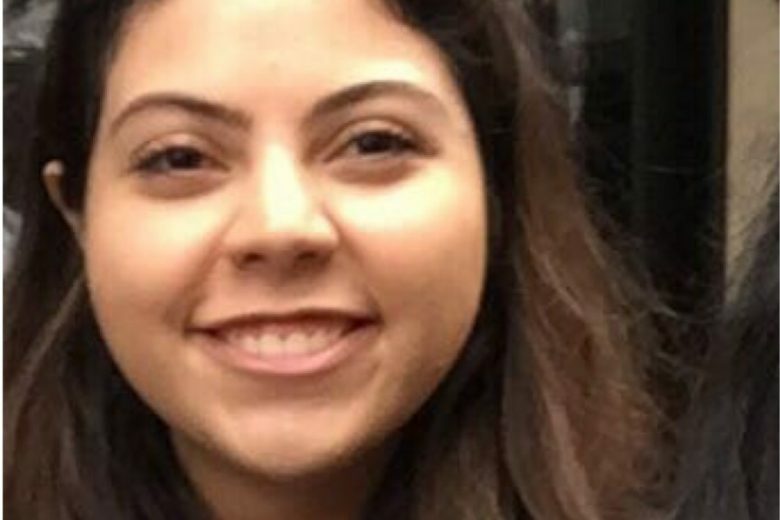 As it goes I was born and raised in Saudi Arabia and moved to the UK when I was 17 so I could study Economics and Management at King’s College (2014-17). During that time I led a social enterprise society that created and managed social enterprises both at home and abroad where we were fortunate to be named National Champions in 2017 having won a worldwide competition. Clearly this is no alternative to a well-rounded and varied career within industry but does at least demonstrate a gritty commitment to make a real difference PLUS a hands-on appreciation about what it’s like to be a fleet-footed outsider and disruptor. When it comes to production we’ve aligned ourselves with one of the nation’s most respected leading lights which helps ensure that we’re very in tune with a dynamic, constantly evolving marketplace. Eureka moment might be a little strong, more of a ‘wishful haze’ after an amazing meal at an upscale fusion restaurant when I wondered out loud to my friends why this kind of food experience wasn’t more readily available to time-poor individuals for whom plush restaurants aren’t an affordable or everyday occurrence. Call it a fool’s dream but my vague notion was enjoying luxuriously involving without spending an inordinate amount of time in the kitchen. In tandem with this thought was the subsequent realisation that the UK’s cooking sauce and paste category is in urgent need of a meaningful reboot. My vision is to enter the fray with a NEW family of fusion cooking stir in pastes and sauces that offer meaningful yet fool-proof home cooking experiences to any curious yet time-poor foodies who wish to break free of all the usual ‘flavour montages’ that stifle so many home cooking experiments. Yugo’s bold flavour palate dips into culinary powerhouses as diverse as Mexico, Japan, Mediterranean and even the Indian sub-continent. Our launch range includes two sublime pastes: Miso Chipotle and Curried Sun-Dried Tomato one ‘lively’ Chipotle Garni hot sauce. ‘Convenience without compromise’ sits at the heart of our distinct our call to arms. Our ambitious vision is to embolden food enthusiasts to try new things in the kitchen. We want to help them break free of sleepwalking into all the usual tried and tested recipes, diluting their reliance on trusted recipes that help them become more confident cooks who’re more willing to experiment in the kitchen. Life shouldn’t mean either settling for quick-fix or wrestling with overtly complicated or obscure, ingredient-laden recipes. Not a group that can easily be identified demographically however young urbanites would be a strong starter for 10. These are individuals who love food, who dabble with street food, rummage through exotic sounding cook books and magazines, will travel the extra distance for specific ingredients and are always adding to their ‘must visit’ restaurant lists. Recipes are the supreme ‘lead from the front’ forum which are perfect social media forum for generating food inquisitiveness. With our national launch taking place this March – our Borough Box test launch has been incredible, we will also be engaging with all the usual suspect PR channels, category features and awards and our recipe laden website opens at the beginning of February. Word of mouth may sound like an over-used phrase but the energy/open enquiries building around our brand that has had limited retail exposure thus far has been insane! The packaging/identity has received very warm plaudits from trade influential buyers, distributors and wholesalers. ‘Clean’, ‘uncluttered’ and ‘fresh’ are the most frequent adjectives we’ve been bombarded with. Facebook Food Hub GENIUS! There’s a diverse, well-informed collective of helpful, well-connected individuals who are only too willing to provide both time and very thorough/well-grounded and most importantly impartial advice, the very means by how I got in touch with our amazing manufacturer (among many other great moments). 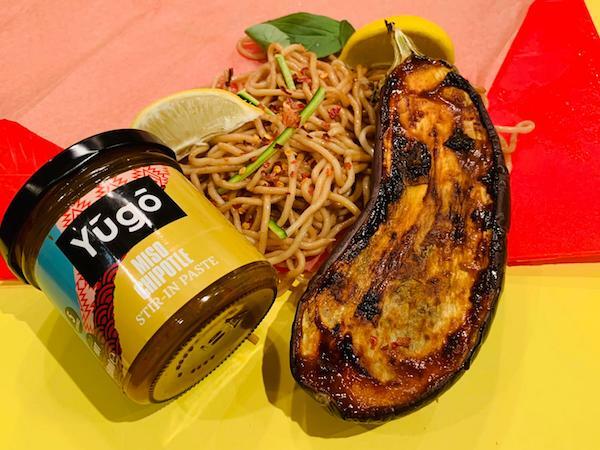 Find out more about Yugo Sauce on their website.